Escape from Green Room is point and click escape game created by Games2World. 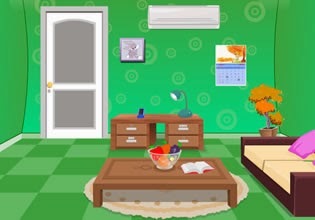 Explore nicely designed green room, search for usable objects and clues. Complete all tasks and puzzles in order to open the door!